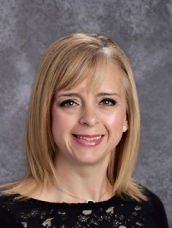 The Pattonville Board of Education approved the selection of Amie Bemke as assistant principal at Pattonville Heights Middle School. She will begin her new position on July 1. A 1995 Pattonville alumnus, Bemke currently serves as a middle school assistant principal in the Fort Zumwalt School District and previously served as an area coordinator and teacher for the Special School District (SSD) of St. Louis County, including time in Pattonville. Bemke holds a bachelor’s degree in elementary education and cross categorical special education and a master’s degree in computer education from Fontbonne University. She also holds a master’s degree in educational administration from Lindenwood University and an educational specialist’s degree in curriculum and instruction from Missouri Baptist University.